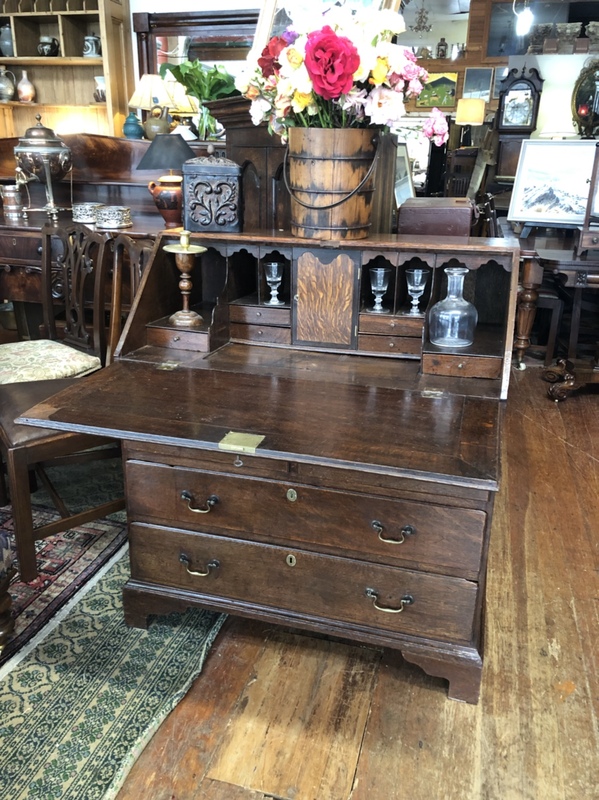 Country Oak Desk with front down showing the interior. 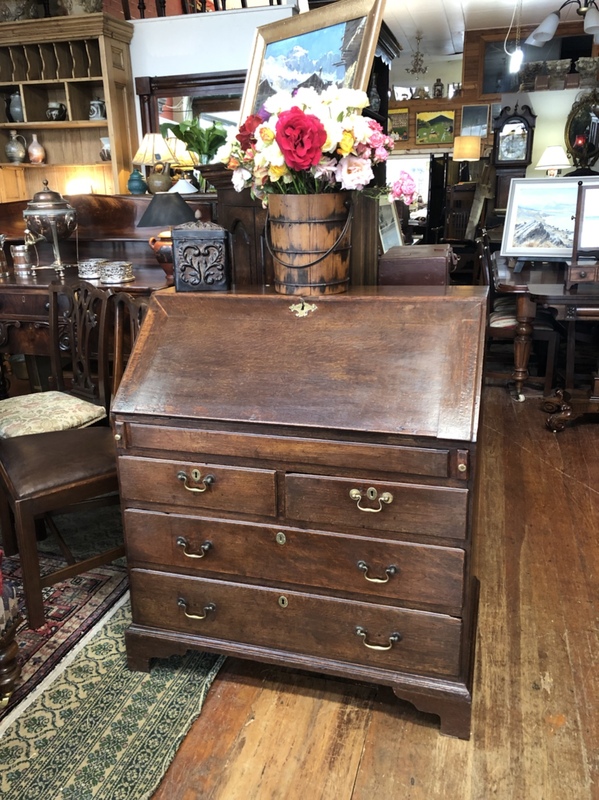 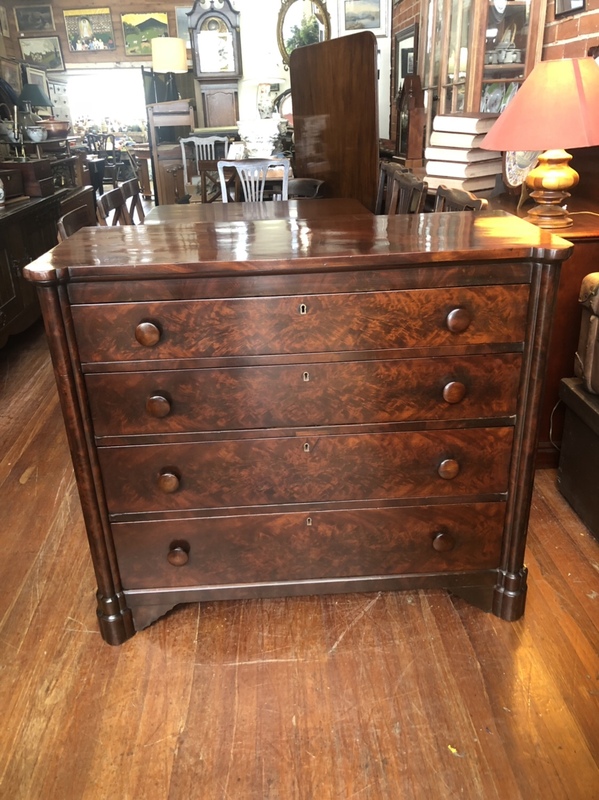 A Country Oak Fall Front Desk of nice small proportions, good colour and condition. 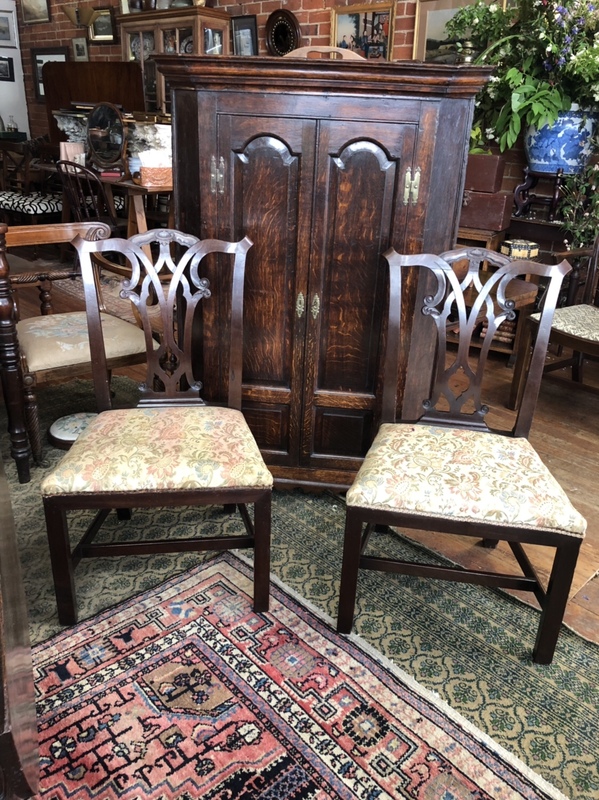 A Victorian Oak Hallstand in the Gothic manner, having carved Dragon arms and a castliated cresting to the arched panels. 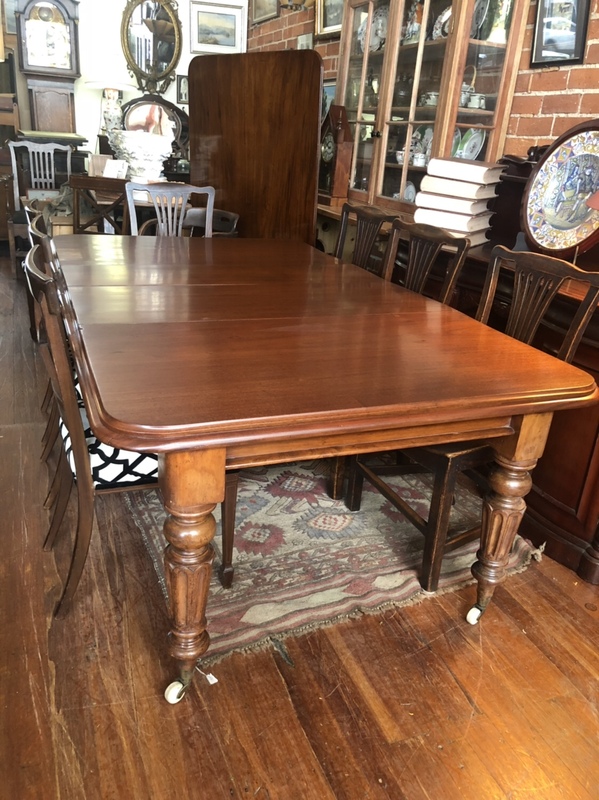 A Victorian wind out dinning table in Mahogany having two extensions with turned and fluted legs on white wheel cup castors. 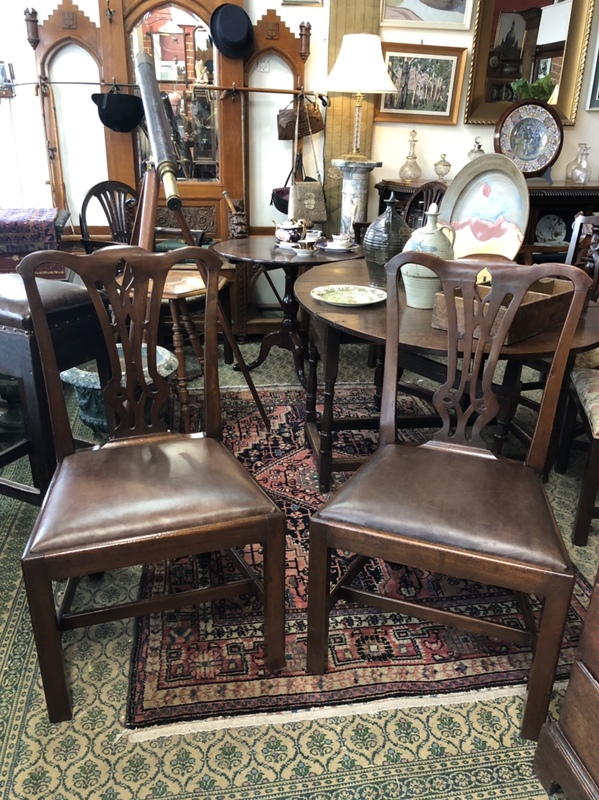 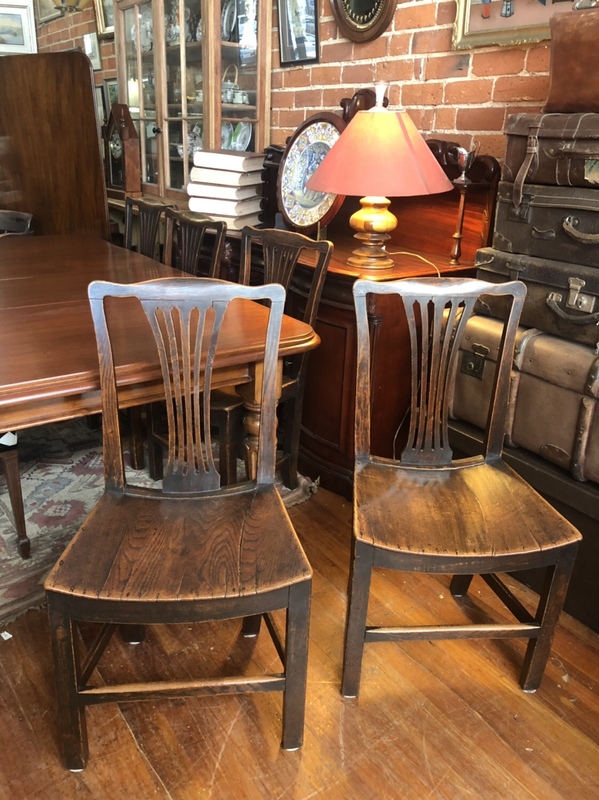 A nice pair of Mahogany Pierced back Chippendale chairs, good colour. 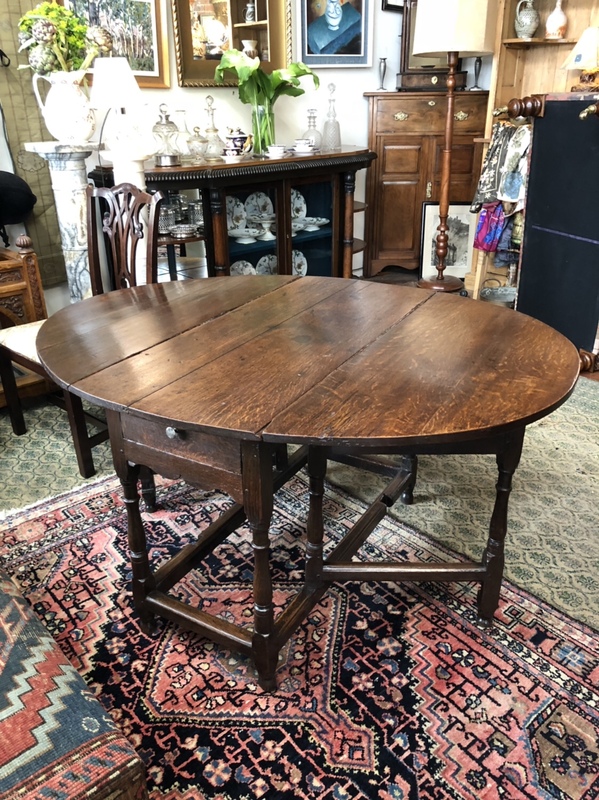 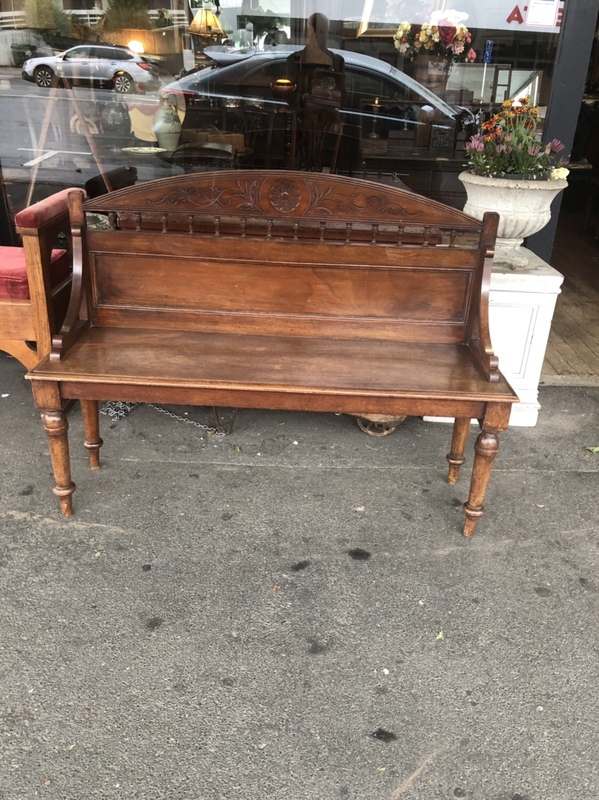 A 18th Century English Country Oak Gat Leg Table, having a drawer at each end Good colour and condition appropriate with age.